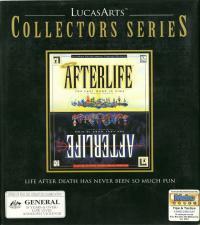 Afterlife is a god game released by LucasArts in 1996 that places the player in the role of a semi-omnipotent being known as a Demiurge, with the job of creating a functional Heaven and Hell to reward or punish the citizens of the local planet. The player does not assign citizens to their various punishments and rewards, since the game does this automatically. Instead, the player creates the infrastructure (roads, zones for the various sins/virtues, reincarnation centers) that allows the afterlife to function properly. Players are accountable for the job that they do because their bosses, The Powers That Be, check in from time to time. The player also has the assistance of two advisorsâ€”Aria Goodhalo, an angel, and Jasper Wormsworth, a demon. Aria and Jasper provide warnings when things are going wrong with the afterlife, and offer tips on how to fix the problems. 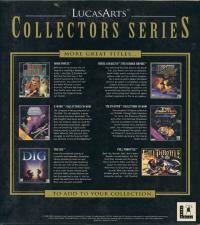 The game is very satirical, with various references to pop culture (such as a passing mention of a "San Quentin Scarearantino" or sending a Death Star to destroy buildings if the player cheats too much).